This Port Antonio resort is on the beach, 0.1 mi (0.1 km) from Boston Bay Beach, and within 25 mi (40 km) of Reach Falls and Somerset Falls. 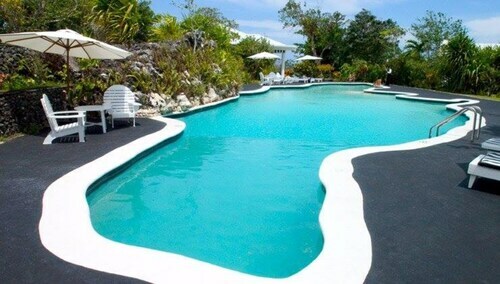 This family-friendly Port Antonio resort is located by the ocean, within 3 mi (5 km) of Winnifred Beach and Boston Bay Beach. Musgrave Market and Errol Flynn Marina are also within 6 mi (10 km). 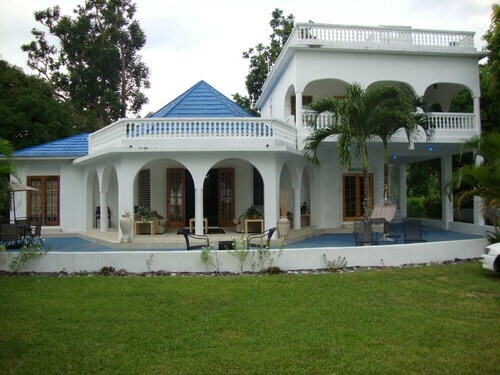 Located in the heart of Port Antonio, this inn is within a 15-minute walk of Portland Parish Church, Port Antonio Square, and Musgrave Market. Errol Flynn Marina and Fort George are also within 1 mi (2 km). 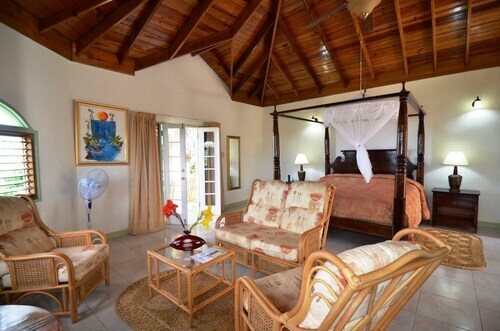 Offering direct access to the beach, this Port Antonio hotel is within 6 mi (10 km) of Winnifred Beach, Portland Parish Church, and Port Antonio Square. Fort George is 4.8 mi (7.7 km) away. 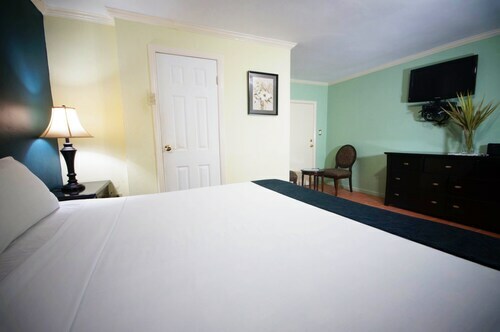 Situated near the beach, this hotel is within 9 mi (15 km) of Boston Bay Beach, Blue Lagoon, and Winnifred Beach. San San Beach and Reach Falls are also within 9 mi (15 km). 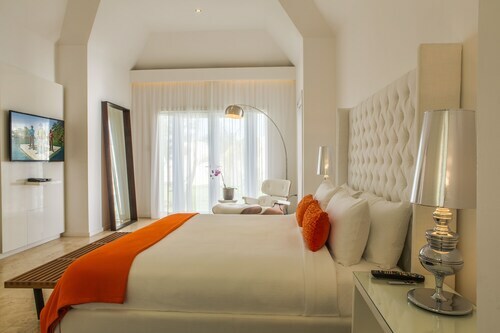 How Much is a Hotel Room in Port Antonio? 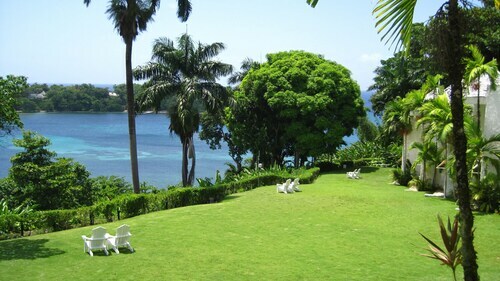 Hotels in Port Antonio start at $75 per night. Prices and availability subject to change. Additional terms may apply. Pack your bags—it’s time to embark on a getaway. 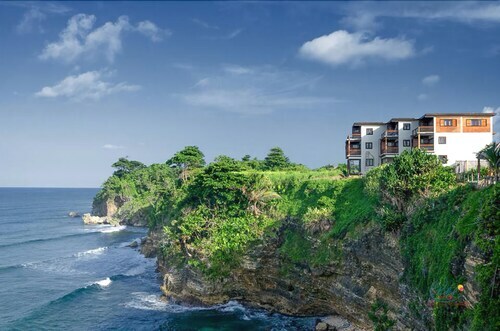 Whether you’re craving a solo retreat or promising your family a vacation to remember, book one of the best hotels in Port Antonio. These hotels are located within easy access of the city’s hottest attractions and entertainment, so you won’t miss a beat while you’re in town. 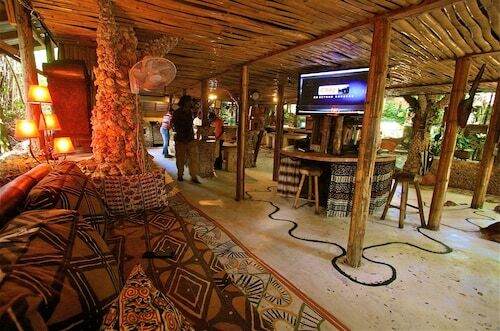 Spend the days exploring the local landmarks and the evenings getting to know the nightlife. After exploring the city from top to bottom, rest up at a hotel that speaks to you. Find the perfect place that matches your trip’s vibe, from a trendy boutique to family-friendly accommodations. 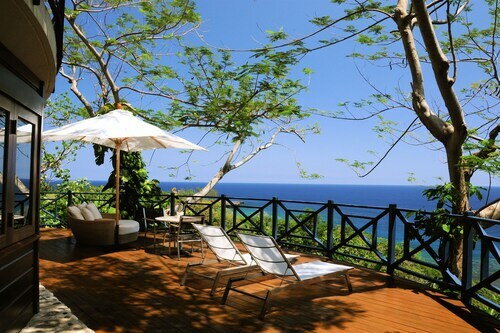 Allow us here at Travelocity to pair you with up Port Antonio hotels that suit your vacation preferences. Discover places with convenient on-site restaurants, around-the-clock service, and pools where your kids can make a splash. Some hotels may boast fitness rooms and spa services, while others feature game rooms and Wi-Fi access. To top it all off, you’ll score cheap hotels in Port Antonio that let you spend more on your activities and less on your lodging. Book and bundle your flight and hotel deals together today and save up to $537. It’s time to explore a new city, and break out of your routine. We stayed only one night. Clean, and excellent breakfast included. I didn’t like the cury, but that was a foregone conclusion. Omelette our daughter ordered was great and we switched. Comfortable bed. AC worked. Window was in disrepair and we gave up on opening it. My stay was great, comfortable and relaxing . My housekeeper Teresa was professional and Provided us with the 5 star service! 5.0 Nice hotel, near waterm falls and beach. I upgraded to the full breakfast. The best accisaltfish I ever had! my experience wasn't too bad the cooking were ok . the staffs were friendly.. big up Pete Andrew and the cook. and the greatest thing I appreciated my husband for got his laptop and a I called they had it put up for him thank to you all for the great works. 5.0 "IMMERSE YOURSELF IN THE LOCAL CULTURE"
I have stayed at Great Huts in Boston Bay,Portland 4 times loved it every time!The location is great,right on the cliffs above the sea and he makes sure his property is very eco-friendly but comfortable.There's a staircase that leads down to the ocean and the property has it's own little mini-beach,which is adjacent to Boston Beach (a public local beach).Breakfast is included in the price, and dinner is optional (must inform them before noon if you're planning to have dinner there).My sister and I usually share one pizza for dinner and it's enough to fill us.The staff are very sweet and helpful.Cold drinks and good food are available at the jerk stands and little bar,which are located just outside the property's gate.The locals are very nice and helpful as well.Surf boards/boogie board can be rented there as well,and if you'd like surfing lessons. Great Huts offers a number of tree houses,tents,and huts to choose from and I have stayed in several of them...each is unique in their own way.Snorkel equipment is there for your use,free of charge.There's also a little grotto you can sit in and just enjoy the water.This place is not for the party crowd,it is for people who love nature and want to immerse themselves in the local culture.I would recommend sturdy shoes and bug repellant with Deet.Frenchmans Cove,Port Antonio,Winifred Beach,Long Bay,Blue Hole,San San Beach,can all easily be reached by a local route cab for just a couple of US$$.I love this place and what Dr. has done with it! It truly is PARADISE ON THE EDGE!